The world of literature is blessed with many brilliantly conceived and well-remembered beginnings, celebrated in fitting tributes across the blogoshpere. Inspired by Albert Camus’s appreciation of the ridiculous, I have been contemplating great beginnings in humorous fiction. Terry Pratchett, the modern master of intelligent ridiculousness, begins Hogfather on a similar theme. Further thoughts on the subject are offered by Douglas Adams in The Restaurant at the End of the Universe . One of my favourite beginnings comes from P.G Wodehouse’s Leave it to Psmith. At the open window of the great library of Blandings Castle, drooping like a wet sock, as was his habit when he had nothing to prop his spine against, the Earl of Emsworth, that amiable and boneheaded peer, stood gazing out over his domain. 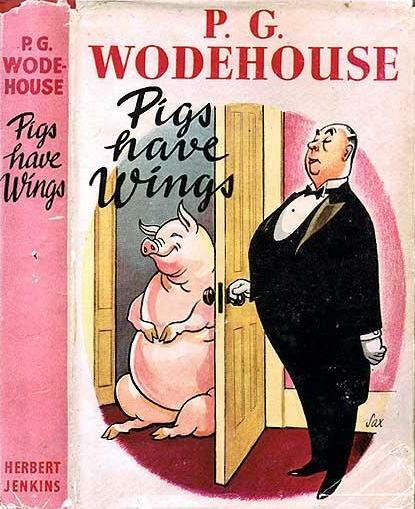 Wodehouse was a true master of the ridiculous and, despite what you may may have heard, dished out the treatment to all classes and political persuasions in equal measure. In Pigs Have Wings, he begins below stairs. 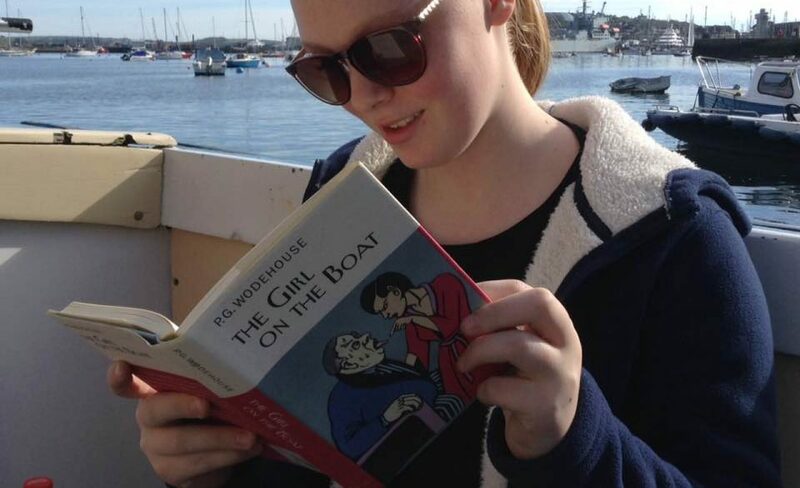 Beach the butler, wheezing a little after navigating the stairs, for he was not the streamlined young under-footman he had been thirty years ago, entered the library of Blandings Castle, a salver piled with letters in his hand. One of the most famous first line of all time, and another favourite, comes from Jane Austen’s Pride and Prejudice. A provocatively ridiculous beginning from another author who delighted in the absurdity of human society. Jane Austen is shamefully regarded by too many as a mere romance novelist when she deserves pride of place among satirists. Perhaps this is because audiences are more familiar with (some) film and television adaptations that replace much of the humour with cleavage and bonnets. So ends my beginning. In quoting the beginnings of others, I’m conscious that I have offered very little in the way of original thought, but I think it’s important to always begin with respect for what has gone before.